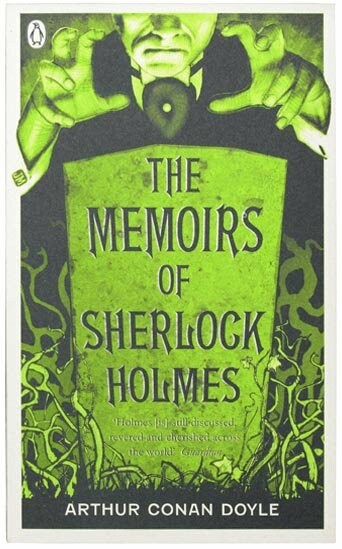 A Literary Odyssey: Sherlock Holmes: The Memoirs of Sherlock Holmes. 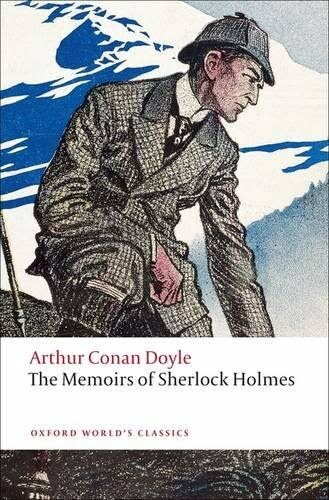 After reading The Adventures of Sherlock Holmes I was wondering whether Doyle was going to be able to keep up with excellent storytelling in more short stories. 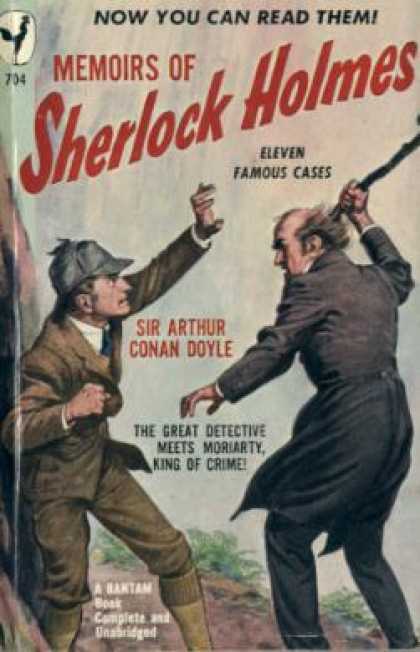 However, the public wanted more Holmes stories, so Doyle delivered. 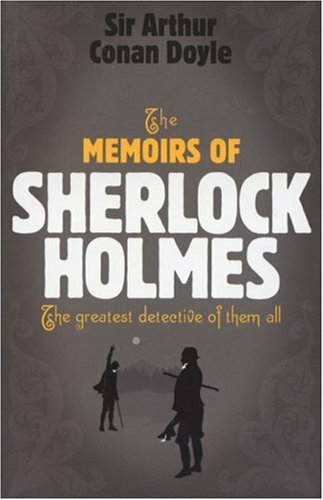 In The Memoirs of Sherlock Holmes, the reader gets more of the world's greatest detective. He is featured in another collection of stories, but as I read through them, there were a few things I noticed. First, it seems as though Doyle was getting sick of Holmes and Watson. There were a few stories that while well-written, didn't capture me the way they could have. Since I know that Doyle was sick of writing about Holmes, I suppose I am not surprised that it came through in his writing. However, there were still some gems that I loved. "The Adventure of the Musgrave Ritual" was highly entertaining. It captured a lot of the clues and deduction techniques that I love about the Holmes stories. I also really loved "The Adventure of the Reigate Squire," which was quite violent and action packed! "The Adventure of the Naval Treaty" was also a favorite, since it dealt a little more with political intrigue and mystery (and it was twice as long as the other stories). I also noticed that it seemed harder and harder for Doyle to integrate Watson back into the stories. If you recall, at the end of The Sign of Four, Watson marries and moves out of Baker Street. Doyle brings him back by having him visit Holmes, or Holmes going to Watson, or having Watson "recall" stories and mysteries from when he had lived on Baker Street. His wife plays almost no role in any of the stories beyond a simple mentioning and I wonder whether Doyle was kicking himself for marrying off his narrator. (Although, Doyle was aggravated with the public's obsession with Holmes anyway, so I imagine when he married Watson off he was doing it with no idea that he was going to have to keep weaving him into the stories). With all of that being said, there is one large and redeeming quality about all of these stories: they continue to amaze me with cleverness. Doyle does a masterful job of creating new and intriguing characters for each mystery and Holmes continues to see things that would escape the normal eye. I do have commend Doyle, however, for the fact that in certain cases Holmes does not report the solution of the case to the police. He takes on some of that moral weight in refusing to have justified people punished for their crimes. Whether or not you personally believe that justice is warranted is up to you. There is one big mystery left at the end of the collection, and it came at a time when Doyle was frustrated with the success and popularity of his master sleuth. Doyle never expected Holmes to catch on, especially since he started writing stories about the sleuth as an experiment. 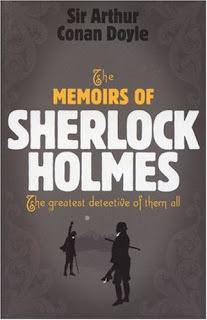 In all, it was a collection of stories that further develop the mind and character of Sherlock Holmes. Part of me wonders if Doyle was just out of ideas for stories when he decided to off Holmes, or if he just couldn't write about a character who was so unfeeling. 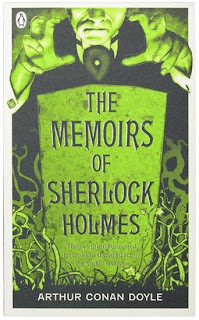 With that said, I am curious to see how Holmes comes back, since there are still two novels and three more collections of short stories left in the Holmes universe! I wouldn't be surprised if he had gotten a little sick of Holmes at this point. I write nonfiction and sometimes I get sick of people after thirty pages. Okay that's not really the same, but yeah. Still haven't read any Holmes yet but I'm excited to do it someday! I've read a lot of Holmes over the years, but I'd love to just start over and read them all in order. They're great characters, but I'm sure any author would tire of writing a formulaic series after awhile.